So this week I really wanted my nails to stand out and make a statement with a nail design. I've seen advertisements of nail polish strips in different magazines and I've always wanted to try them. 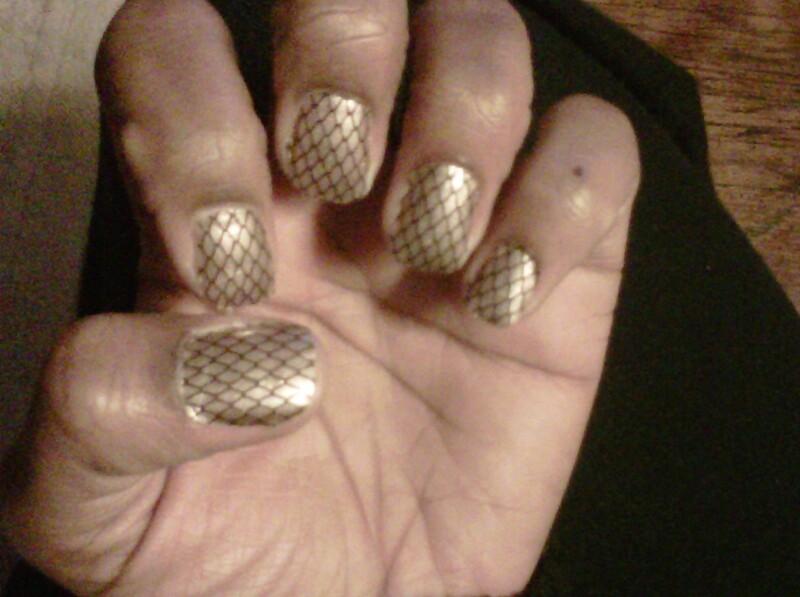 I found some cute nail polish strips in a gold and black design by Sally Hansen called Misbehaved.The strips are easy to apply and last for awhile! They can be purchased at any local drug store.